BSN NO Xplode Review - What are its Side Effects? 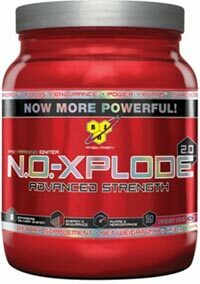 BSN's NO Xplode is just another nitric oxide boosting / creatine supplement like the hundreds that's already on the market... Or is it? That's what I thought at first anyway, until all the user reviews that started pouring in on our reviews site - BSN NO-Xplode is by far the most reviewed supplement by users, with more than 1,100 reviews submitted by users like yourself. 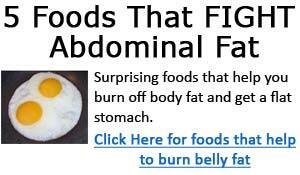 It is the single most popular reviewed supplement. No question, citrulline malate is an exceptional ingredient as part of BSN NO Xplode creatine supplement. Dicreatine malate - is a highly soluble creatine salt, and provides greater increase in creatine bioavailability over regular creatine monohydrate. The dicreatine malate is bound to malic acid which offers greater ATP production. When you look at all these ingredients as a whole, you'll see why BSN NO Xplode is getting so many positive reviews from users on our web site. With all these ingredients acting to augment nitric oxide production, it's no wonder so many users rave about the massive pumps they get from using NO Explode. I didn't quite feel like going through all of the reviews. But I think you get the point. =) Also, based on user reviews and feedback, here's the good and bad of NO Xplode. Many users reported experiencing "Insane Pumps"
Although not many users reported side effects, however, that does not mean it is without side effects. In conclusion, with all of the above analysis and reviews, I'd have to say BSN NO Xplode is a supplement well worth a try. Follow the link below to order online and save some money.